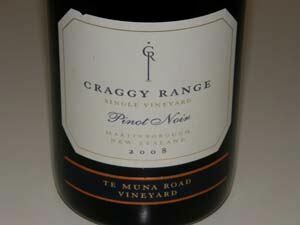 Craggy Range is a partnership between business man Terry Peabody and accomplished viticulturist Steve Smith MW. Formed in 1998 with the purchase of wine growing land in Hawke’s Bay Gimblett Gravels subregion (a parcel eventually sold by Gimblett Gravels, an international concrete company), Craggy Range has since acquired several Pinot Noir vineyards in other regions, including Martin’s Road, Central Otago Station, and 350 acres on Te Muna Road in the Wairarapa region of Martinborough. The 230-acre Te Muna Road Vineyard was planted in 1999 in the Martinborough Terraces subregion of Martinborough, separated from the Terraces by the Huangarua River. The vineyard is largely planted to Pinot Noir, with lesser amounts of Sauvignon Blanc, Chardonnay and Riesling. Craggy Range oversees a total of 550 acres. Reportedly, Peabody has invested at least $60 million in the venture. Steve Smith was the first viticulturist to earn an MW and earned his reputation by revolutionizing canopy management with Dr. Richard Smart. He researched phylloxera at University of California at Davis and Robert Mondavi Winery. A native of Invercargill at the southern tip of the South Island, and the son of a bootlegger, he has risen to the top of the New Zealand wine industry. He is one of the country's nine Masters of Wine. 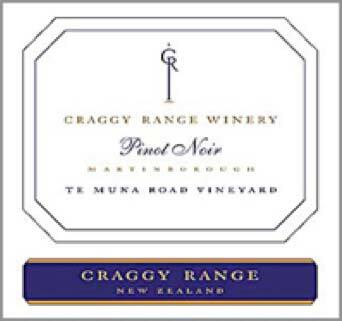 Craggy Range specializes in single vineyard wines that are produced in limited volumes and represent the most complete expression of the vineyards. The winery makes about half a dozen different Pinot Noirs made of grapes grown on single sites.Production is 45,000 cases annually. American Doug Wiser, a protege of Ted Lemon (Littorai), was the winemaker here until his tragic kite surfing accident in 2004. The current Pinot Noir winemakers working under the direction of Steve Smith are Adrian Baker (Martinborough wines), Rod Easthope (Hawke's Bay wines) and Matt Stafford who has worked alongside Rod Easthope and became chief winemaker in June, 2012, with Easthope assuming a consulting role. 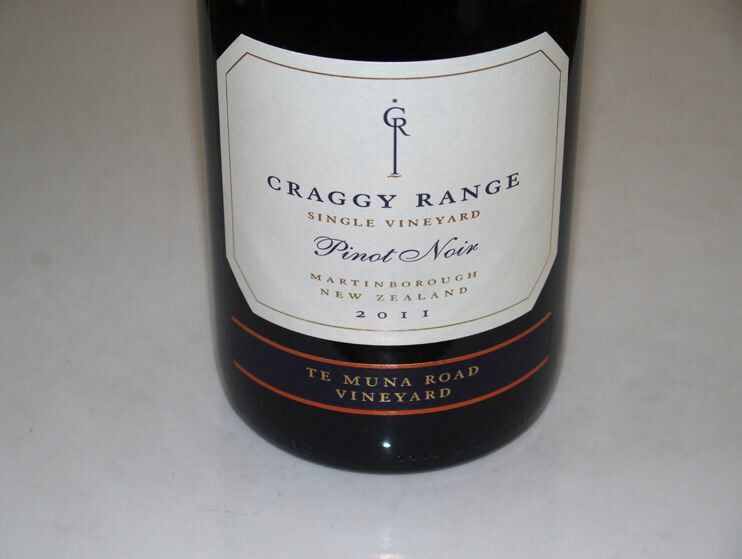 Craggy Range is an ambitious project that could only be accomplished with significant financial resources (the vineyards alone are reportedly to have cost $36 million!). Both Pinot Noir and Sauvignon Blanc I have sampled are superb examples of New Zealand's bounty. Annual production is 55,000 cases. 100% of Martinborough wines are estate grown. The wines are generally available through fine wine retailers in the United States (imported by Kobrand Group, NY, NY).